The interest rate policy of the European Central Bank has massive redistributive effects within Euroland. With every step it takes, the ECB continues to exploit Germany for the benefit of holding to the Euro by bailing out the rest of Europe. The German savers are been wiped out and sent into extinction as they see the bensts. The low interest rate policy moving negative has cost the private households in Germany since 2010 about €23 billion euros. In absolute terms, the German private households are thus the biggest losers of monetary policy in the financial crisis. The confidence level in Germany for Euroland is still the highest within the region. We expect this to turn down very significantly in 2016. 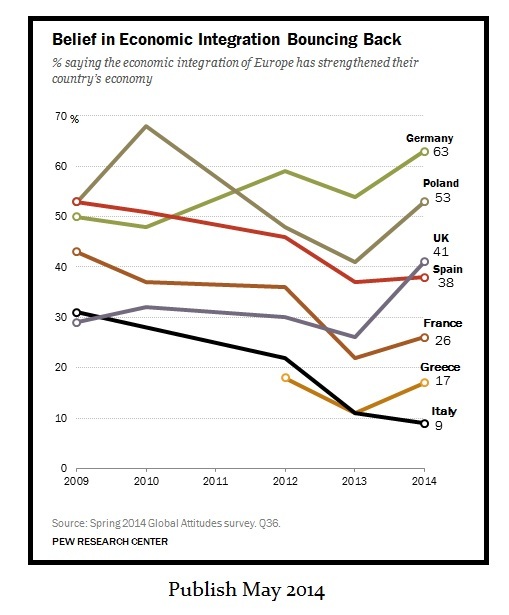 PEW Research back in May placed the confidence in the EU at 63% in Germany. That was still 37% did not believe in the EU. The further one moves away from Germany, the lower the numbers. The total lack of confidence in the EU is appearing in Italy, and rightly so since it was their democratic process that the Troika staged a coup. Wiping out German savers will not save Europe. The confidence levels are simply far to low and this goes directly to the survive-ability of Europe as an entity. Matteo Renzi of Italy, who has been Prime Minister of Italy since February 22, 2014, President of the Council of the European Union since July 1, 2014 and the Secretary of the Democratic Party since December 15, 2013, is attempting to transfer the risks of bailing out Italian banks to the ECB and thus the European taxpayer. Mario Draghi’s master plan is to save Italy withe lowest confidence levels in hopes of boosting the rest of Europe. But this scheme comes at the high price to the rest of the European taxpayers – especially Germans. 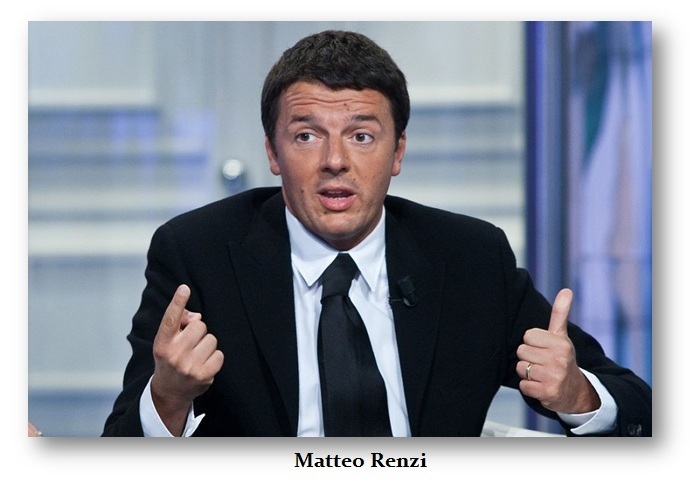 Renzi now sees the great opportunity to solve his problems in Italy – or so he thinks. Working in association with the Bank of Italy, he wants to ensure state guarantees for junk bonds that the ECB will buy from the Italian banks enabling then to decrease their bad loans. The Germans are starting to get worried. This is the problem with the Euro. You cannot create a single currency without a single government. All member states must surrender their sovereignty to the centralized planning just as in Communism. This is why body language is starting to be noticed. Mario Draghi seemed very nervous and fidgety at the press conference after the ECB meeting in Naples not just because of the riots outside. He took a long time to answer the questions of the journalists and his answers were also more in the nature of excuses and phrases. Draghi always promised a new magic bullet that would save Europe. Yet everything the Troika is doing has had no effect because taxes keep rising and they are just brain-dead that socialism is collapsing. Several times Draghi emphasized that everything that the ECB has been used, was exceptional. The banks will still not lend, inflation will not be restarted, and even negative rates cannot possibly help. These measure cannot and will not reverse the collapse in confidence. Lowering rates WILL NOT stimulate an economy when CONFIDENCE declines sharply. 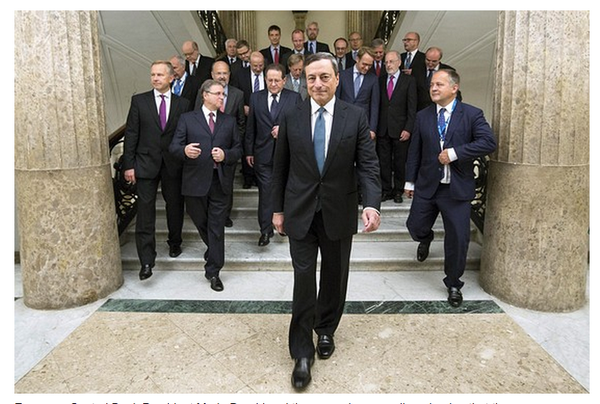 The confidence in the ECB’s magical powers is coming to an end as journalists appeared less than impressed. The Italian, German and Irish are no longer confident in the Euro. This is being reflected where reporters are daring to even question whether Draghi was not worried that the Euro-skeptics are gaining ground. This is a trend even inside Germany. Draghi’s response: He understood the German critics were not only against the ECB, but also several countries do not want to do what the ECB directs. Asked if he saw the announcement of France to throw the deficit limits overboard, as a problem for the monetary policy of the ECB, Draghi takes on a formalist position stating he will only be able to form an opinion when the numbers are in. CONFIDENCE inside the Troika is also collapsing. What will be left on the other side of 2015.75 is going to be a stark comparison.